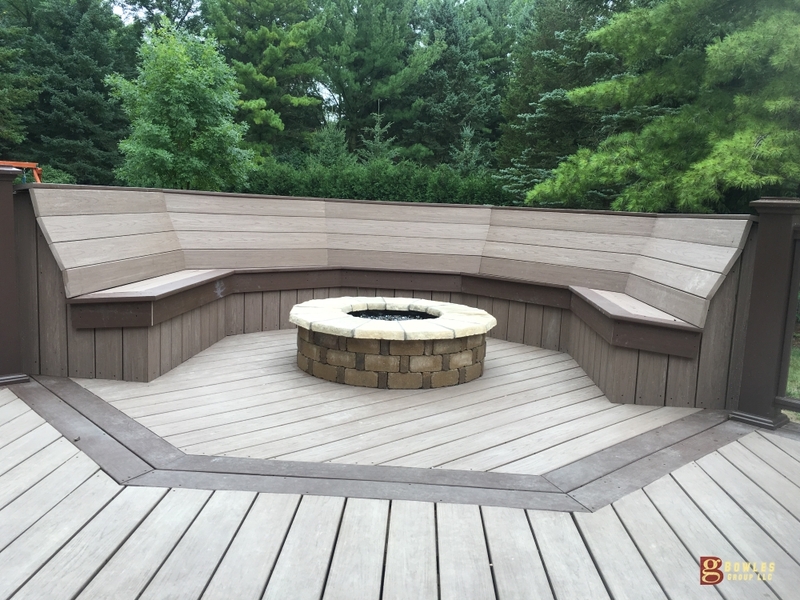 We built this Azek deck that features a custom built-in bench and a gas fire pit. The homeowner’s in Mequon, WI had a cedar deck for many years and they decided that no longer wanted to deal with stain the deck each. If you are in the Greater Milwaukee, WI area, contact our deck building crew today for a free estimate.